On Sunday, March 17th, 2019 (St. Patrick's Day), I decided to hike to Mossbrae Falls, a 52 foot high waterfall located in Dunsmuir, California. The waterfall runs along Sacramento River. 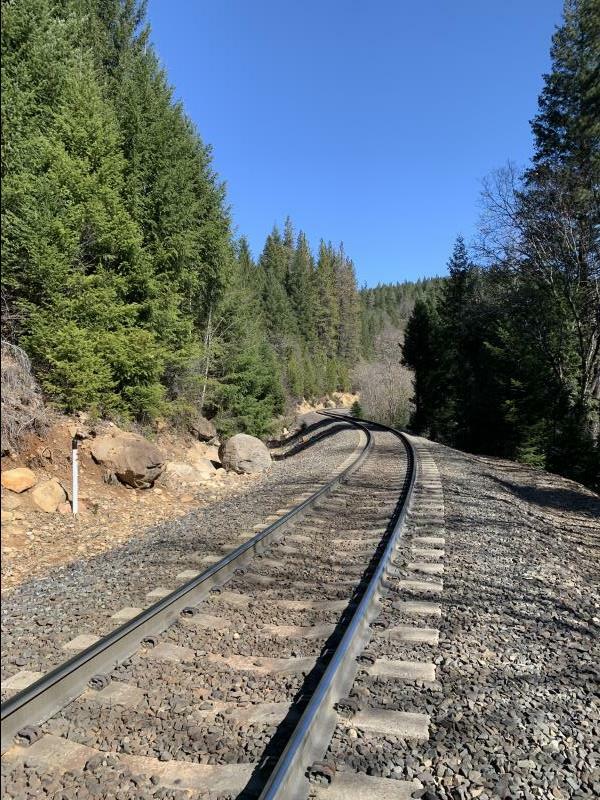 To get to the waterfall, walking on train tracks for about 1.2 miles is required. Many people hike to the waterfalls despite it being trespassing and requiring walking on an active train's tracks. 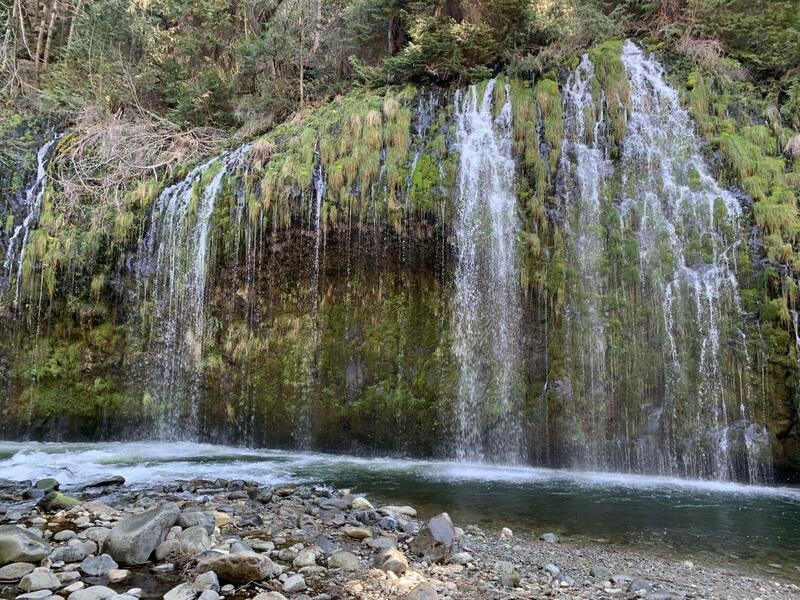 The waterfall is located just before a bridge when walking from Shasta Retreat. 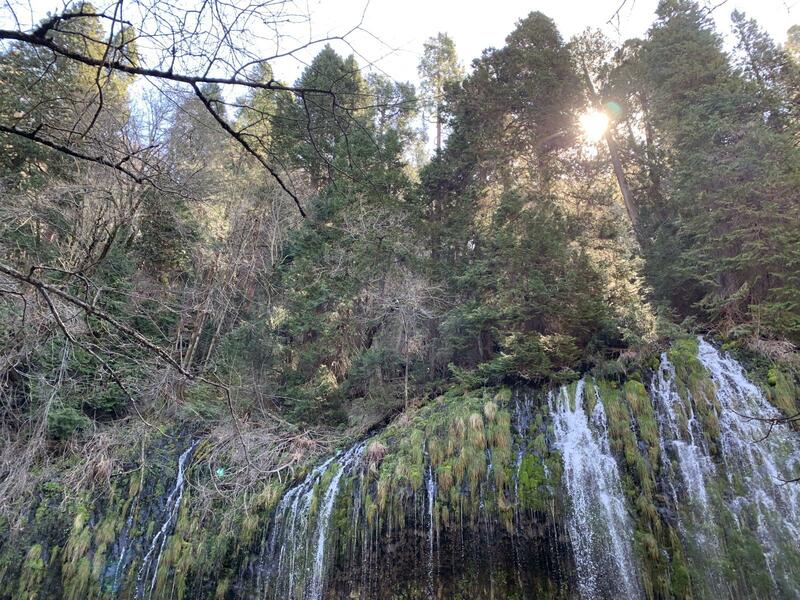 For hiking and parking directions, see this blog on Mossbrae Falls.